She's so amazing! She's like an older version of Carrie. xD She even has an animal rescue foundation. I hope Carrie is as adorable of an old lady as Doris. And releases at least 29 original albums, as well. Doris is so adorable, I can't even. And talented! As both an actress and a singer! (Last year) At age 87, she released a new album entitled My Heart and she sounds so good! It debuted at #135 on the Billboard 200 in the US. And in the UK, she became the oldest person to release an album with new material to hit the UK Top 10. I just bought it on iTunes now. And she has TWO stars on the Hollywood Walk of Fame. Suffice it to say, Nanny has a new obsession. So, uh, be prepared. It'll be like Angie Harmon and Lauren Graham put together, because Doris is that old. And has that much more to admire. hjj, opry051008, Ann055 and 3 others like this. Couldn't agree more, Nanny! I have seen most all of her movies, and have always loved her! Thanks for telling us about the album, I will check it out. I remember her sing Secret Love! I love the comparison to Carrie! DizzyDollyDee and nannygirl like this. Which movies did you finish today? You said you were gonna get through three, right? I will check it too. I was afraid to open this I thought it might be that she died,so happy it was good news. Aha, here's where you two kids are hanging out. Nanny's obsession with Doris Day is so cute. You should've seen her last night. "Did you know Doris Day did blah blah blah? I can't watch that Sasha Alexander movie with you tomorrow because I'm gonna have a Doris Day marathon. Three movies! Did you know she has 29 studio albums and is the oldest artist to ever have a top 10 song? Does your mom like Doris Day? Tell her about my adoration for Doris Day!" So glad you're back Nanny! I've missed you! Many, many, many moons ago, I met her for just a few minutes. Was very cool. What is name of her latest album? ^ My Heart is the album she came out with last year. Video Nanny showed me a few nights ago. hjj, opry051008, Gator and 1 others like this. Well I told her I was surprised the she would choose Doris Day. How does someone so young get obsessed with Doris Day. I've currently only seen one, The Man Who Knew Too Much. It features Que Sera Sera, an amazing song that Doris was originally loathe to release to the public because she thought it was just a forgettable children's tune. Bet she was surprised when it became her biggest hit. xD I hope the same thing happens with Oklahoma Wind. Also, did you know Doris' version of The Man Who Knew Too Much is a remake Hitchcock did of an earlier film of his? I'm watching Teacher's Pet right now with Clark Gable. I watched The Pajama Games a couple days ago and I'm going to rent Calimity Jane tonight because my dad took over the TV so I can't watch Send Me No Flowers. Ann, I'm so jealous! Was she as spectacular to meet as Carrie? She was talking about her most prized autograph of Doris Day and then she went backwards and started looking up all things Doris. At the same time, she was insisting I try this Justin Bieber song she was parodying. [Edit] Clark Gable was so cute. I have eclectic taste. Doris Day. Justin Bieber. Same thing. Did you ever listen to the parody? With the music? It sounds much better, I think...until I falter at the end. Doris was cuter. And Robert Redford. Not really an ageist (I am assuming the meaning of this), just that she's not really in the news so how do people who don't know about her find out about her. Anyway, it is Nanny after all and Nanny finds out everything. Clark Gable was cute but so was Rock Hudson at the time. Nanny, you should check out the movie, I can't remember the name, but it was where Doris Day comes back to her husband after being shipwrecked and thought to be dead. I plan on watching all of her movies. And all 128 episodes of The Doris Day Show. xD Could it be Romance on the High Seas? That was her first film! As a child, I was obsessed with the song Tea for Two. I just thought it was so cute. Doris and Rock were apparently the Meg Ryan and Tom Hanks of the 50s. Tom Hanks is my movie star husband. Bruce Dickinson's just my rock star husband. Rock Hudson. 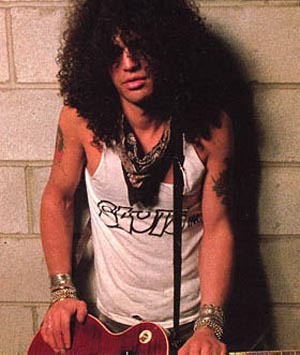 . . any relation to Saul Hudson? No I don't think that's the name of the movie because it doesn't happen on the high seas. You never see the shipwreck or anything because it's just about when she returns. Oh I remember that song. I loved that one too. Please don't put Meg and Tom in the same league as Doris and Rock. I guess we won't be hearing from you for a some time if you intend to watch all her movies and her show. lol. It'll be like when I went on my Angie Harmon kick but with infinitely more stuff to watch. Although Calimity Jane is equally as butch as Jane Rizzoli. She even moves in with a chick. Janet Tamaro should take notes because even though Calam falls for a dude, it was done organically.